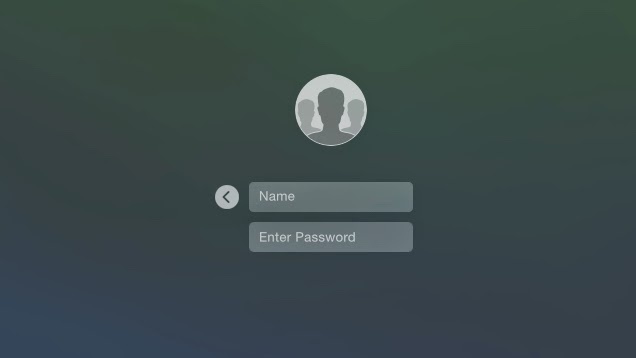 There are three ways you can hide a user in versions of OS X earlier than Yosemite. In the Users & Groups preferences pane (Accounts pane in Mac OS X v10.6 and earlier), click Login Options, then select "Display login window as: Name and password". With this enabled, no user accounts are listed in the Login window. If changing the Login Window to only display the name and password fields does not meet your needs, then you can use the following steps in this article to hide a user account. Note: These users will still appear in the Accounts (Mac OS X v10.6 and earlier) or Users & Groups (OS X Lion) pane in System Preferences. You can use the advanced steps below to change a user's UID, adjust their home directory permissions and enable the Hide500Users option. An example user account "tom" is used below. The following sample Terminal command changes the user tom's UID to 401. Note: Check to make sure the new UID is not in use before making this change.